When you are chained to your desk in an office from 9 to 5, it may become hard to find time and energy to visit a gym on a regular basis. However, the effective control of your fitness doesn’t have to stop once you cross the threshold of an office. It might seem something difficult to achieve but staying healthy and fit while working in an office is possible. It just needs some creativity, inspiration, and a little of planning. So, you’ve organized your table. You have plenty of sticky notes to remind you about important tasks. Your favorite notebook is always lying at hand. And your computer protection glasses are always on your face because you wish to protect your eyes from computer screen glare, eye strain, or any other vision problems. But how about more bulky office gear such as your chair and desk? Are they ergonomic and comfortable enough to protect your back from strain and fatigue at the end of your working day? Unfortunately, for most people, it is impossible to control their posture for 6 – 9 hours long. An ergonomic chair helps solve this problem. The right office chair encourages sitting straight thus helping strengthen core, buttock muscles, and improve physical appearance. As for the office table, an adjustable desk is a very popular piece of furniture today. It can easily transform from sitting to standing position hence enforcing its user to change postures throughout the day. In order to take their office activity to the next level, some even opt for a treadmill desk to work “on-the-go”. Indeed, with such a table, you can always keep moving. It is hard to overestimate healthy eating habits when it comes to improving our overall health and fitness. But as far as we spend much time in an office, it may become a challenge to avoid processed and pre-packaged food. This is a pretty common situation, especially when we don’t plan our meals. 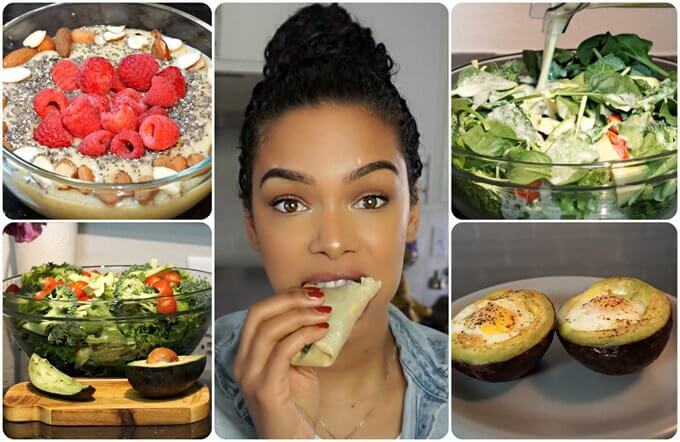 So, if you are serious about making healthy eating your priority and benefit from it to the full, try a few of these time-proven eating habits. Always eat your breakfast. You can still find some information assuring that breakfast is not a very important meal. However, when you skip it, the chance is high you will be starving by 12 a.m. or even sooner. This is a good basis for making unhealthy decisions such as using a vending machine in the hall. A pre-packed lunch box is another guarantee that your lunch will be healthy and won’t add you a few unwanted kilos. If you don’t want to cook your meal every day, you can prepare several boxes in advance and just drop one of them into your bag before leaving to work. In case you have no idea what to put into your lunch box tomorrow, there are a lot of good ideas that may help you out. Drink enough water. Let’s face it most of us drink very little water throughout the day. Instead, we drink coffee, lots of coffee, mistakenly presuming that it counts as water. However, coffee dehydrates us, making us tired and unfocused by the end of the day. So in order to keep fluid balance, we should drink one or two cups of water for each cup of coffee. If you live close to your office and the time allows you to, try to walk or cycle to work. In case you have to drive, leave your car in the further parking lot so that you could take more steps to get into the building. Walking to the nearest subway station is also a great chance to stretch your legs after a long working day. Being stairs friendly is one more beneficial strategy for effective health managing. 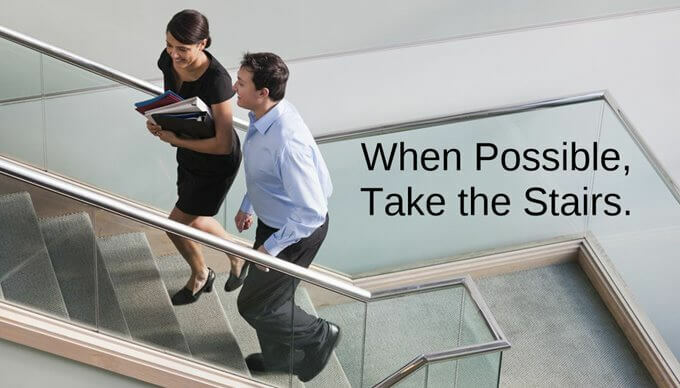 Even if your office is on the third floor, climbing those stairs every day will help you lose weight and maintain more muscles than standing or walking on the level ground. All in all, any type of physical activity is better than none at all. Since being active and on the move, we improve not only our overall well-being but also our mental health, cognitive skills, creativity, and ability to focus for much longer time. LITTLE KNOWN: GERMAN DOCTOR DISCOVERED THE CAUSE OF CANCER IN 1923 AND GOT THE NOBEL PRIZE FOR IT!